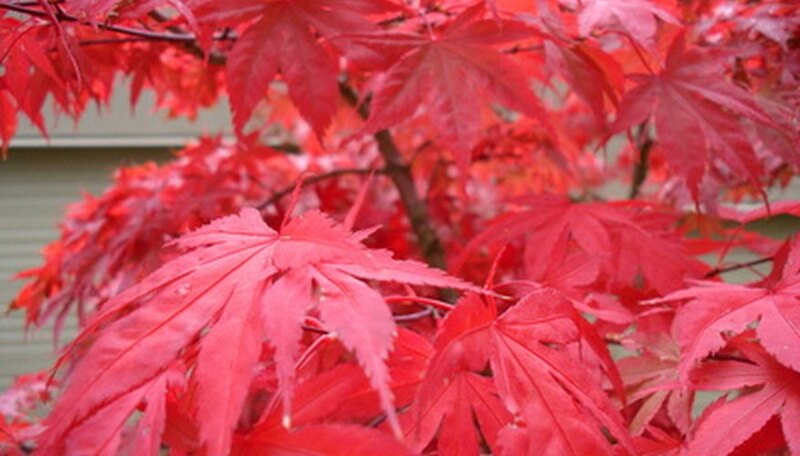 South Carolina is on the warm side of the climate range for Japanese maples. However, with northern South Carolina as USDA Hardiness Zone 7 and the southern part of the state as USDA Hardiness Zone 8, Japanese maples will grow in both parts of the state. Bloodgood maples are large, upright Japanese maple trees with red leaves that do well in both USDA climate zones in South Carolina. Bloodgoods grow to between 15 and 20 feet high. Although this tree is often said to do well in partial sun, in warmer climates like South Carolina, this, and any Japanese maple, should be planted in full shade to avoid sun scorch and sun burn. Coral bark Japanese maples have a red bark that becomes more intense as the temperature drops. Because South Carolina is a warmer climate, the bark on the coral bark won't reach the same intensity as it will in northern climates. However, the tree will grow well in South Carolina and will have very attractive bark. This tree can grow to 15 to 25 feet high with a 15 to 25 foot spread. The tree's bark will be green in the summer, but will change to red as the tree loses its leaves in the fall. There are many varieties of weeping maples that will grow well in South Carolina's USDA Hardiness Zones 7 and 8. Weeping maples range in height from 5 to 6 feet to between 15 and 20 feet. Some weeping Japanese maples have green leaves, while others have red. Because of the sun and heat in South Carolina, Japanese weeping maples need to be grown in the shade to avoid sun damage. When selecting a Japanese maple, be sure to consider its height and the ability of the surrounding trees to provide shade.